We took a closer look at Microsoft’s first tablet around a year ago. The Surface RT was a good tablet, but the SoC (System-on-a-Chip) was not really up-to-date and the display only featured HD resolution (1366x768 pixels). The resolution did not really suit Microsoft's claim for a premium tablet, especially with the Apple iPad as its main rival. A very limited App Store and the operating system were other drawbacks. In the meantime, Microsoft is the only manufacturer (besides Nokia) that uses its own operating system for ARM processors and seems to have found some issues with its marketing strategies. 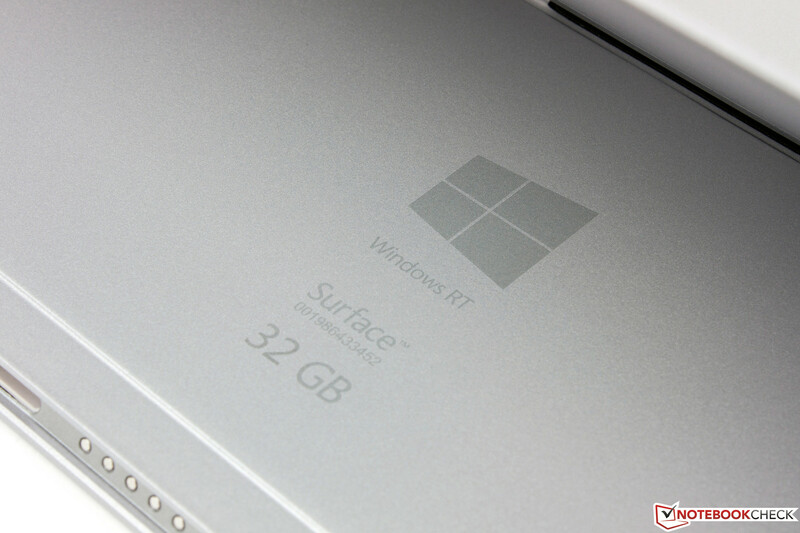 According to Microsoft, the addition of ‘RT’ confused many potential buyers; the successor is therefore only called Surface. 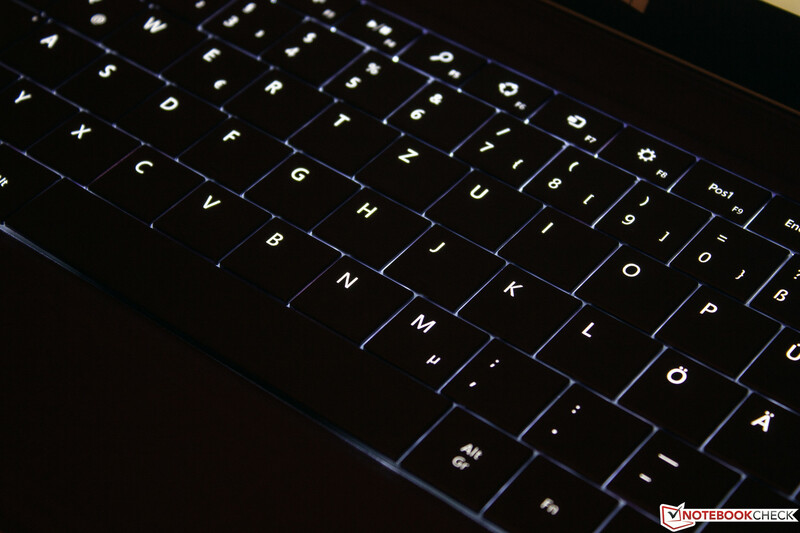 We already liked the good build quality and the optional Touch Cover, which is not only a protective display cover for the device, but also an additional keyboard and a touchpad. Microsoft did not change the concept, and the device is definitely a Surface once again. The internal components however are completely new. The tablet is now powered by an Nvidia Tegra 4 SoC (T40) and the display resolution was bumped up to 1920x1080 pixels (Full HD). This is still inferior to the Retina iPads (2048x1536 pixels), but it is appropriate for this device. 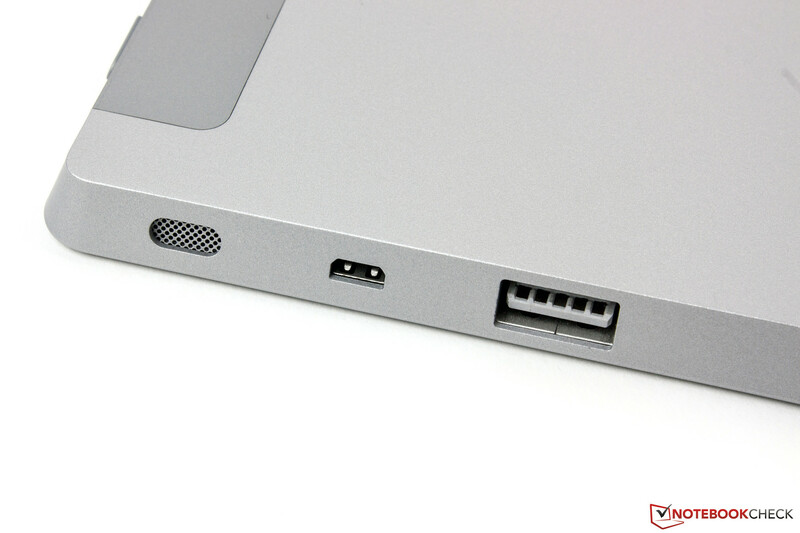 The ports have also been refreshed, the USB port finally supports the fast 3.0 standard and the so-called HD-Port is still available. Microsoft also listened to the criticism about Windows 8 and RT and equipped the Surface 2 with Windows RT 8.1 ex-works. You also get a full copy of the Office Suite, which now includes an Outlook client as well. Apple’s iPad is certainly not the only rival for the tablet throne, there are also numerous Android based devices. Besides the somewhat aged Google Nexus 10 there is the Toshiba eXcite Pro, which is also powered by the Tegra 4, Sony's Xperia Tablet Z and the Samsung Galaxy Note 10.1 (2014) that we did not review yet. However, the Surface 2 also faces a competitor from its own manufacturer: The Nokia Lumia 2520 uses the same OS from Redmond but a more powerful Snapdragon 800 processor. We will focus on the comparison with the reference tablet from Cupertino in this review, since it is, according to Microsoft, the main rival. The case is made of VaporMg. The display is protected by a robust glass surface. 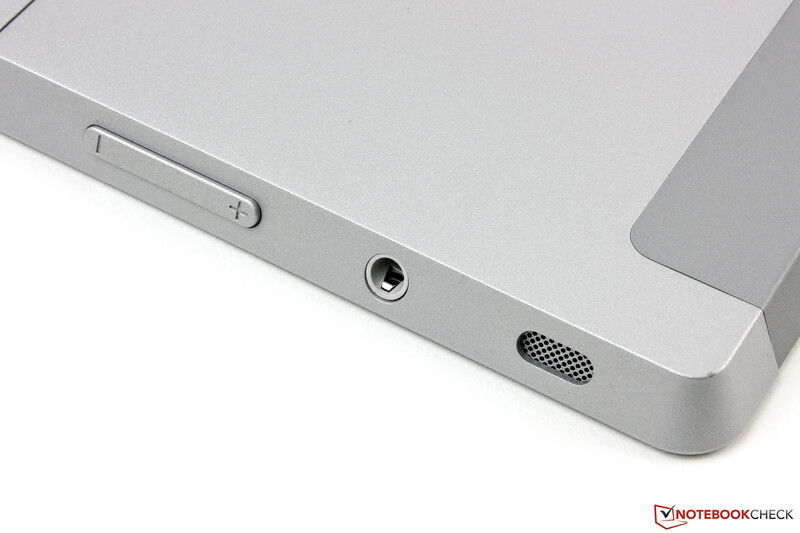 Microsoft once again uses a silver VaporMg alloy for the case. It is not only 70% lighter than aluminum, but also much more resistant. There is also a special coating to prevent fingerprints, and it actually works really well. The VaporMg surface is flawless, even against the light. The case is also insensitive against pressure. We had to push really hard to see an impact on the screen and we could not bend or twist the tablet. However, the Surface 2 is unfortunately comparatively heavy at 643 grams (~1.4 pounds), even though Microsoft was able to reduce the weight and make it thinner compared to the predecessor. 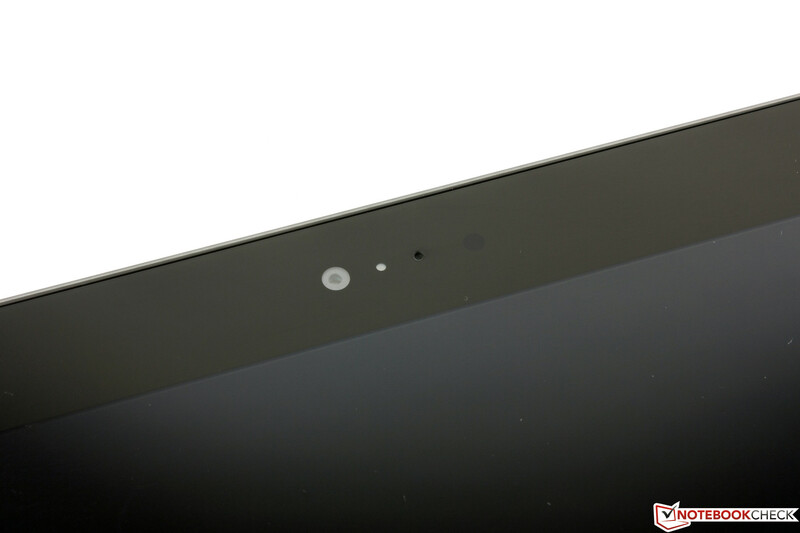 It is half a millimeter thinner than the iPad 4 at just 8.9 mm (~0.35 inches), but still thicker than the new iPad Air (7.5 mm/~0.30 inches). 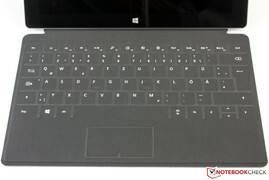 The design is otherwise very similar to the old Surface RT. Another aspect that has been improved is the Kickstand. While the angle of the original Surface RT was too steep for comfortable use on the lap, you can now select two different positions. This is a real benefit in practice, and the usability with the Cover keyboards is now better as well. 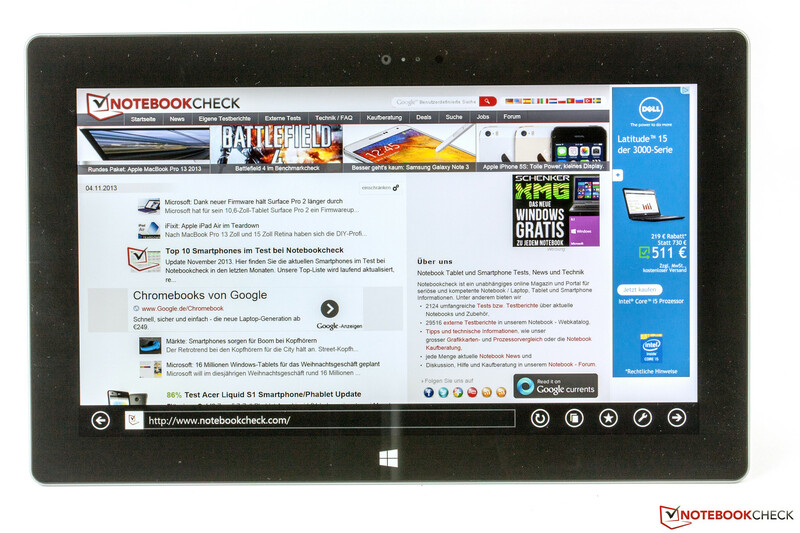 All in all, Microsoft offers a very high-quality tablet. The gaps are consistent and the alloy feels great, while the touchscreen is protected by a durable glass surface. The manufacturer does however not specify the used material. Despite its higher weight, the 10.6-inch tablet feels very good in the hands and you can even use the device with one hand for a limited period. 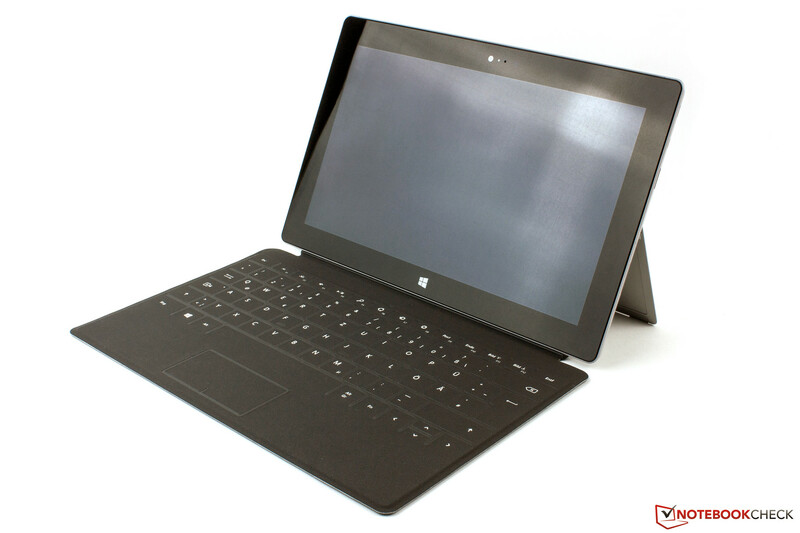 The connectivity of the Microsoft Surface 2 is comparable to its predecessor, only the ports were updated. USB 3.0 cannot only be used for external drives, but also for peripherals like a mouse or a keyboard. 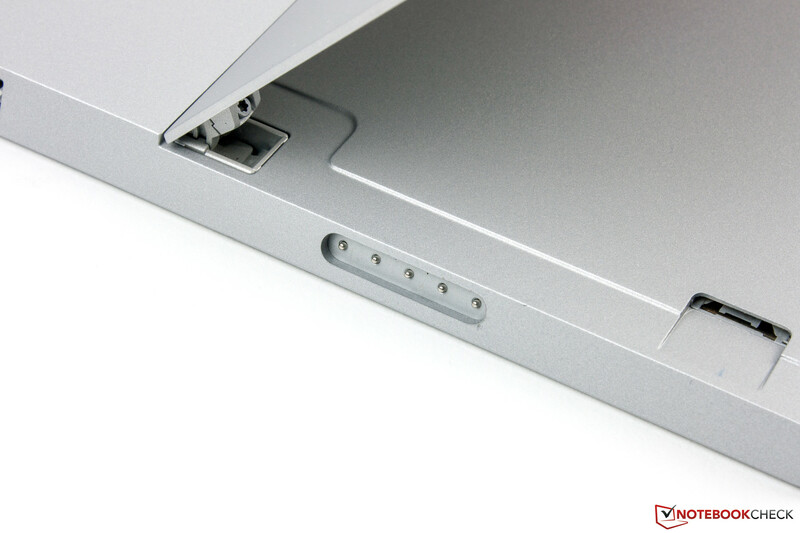 Hidden underneath the Kickstand is the card reader, which supports micro SDXC cards with up to 64 GB. 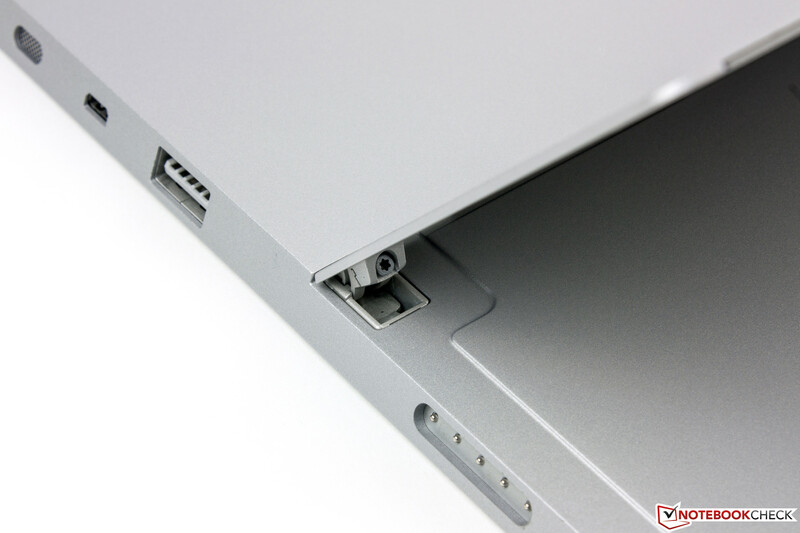 The connector at the bottom can be used for either the Type or Touch Cover. You can get the tablet with 32 ($449, our review unit) or 64 GB storage ($549); both versions support video streaming via Miracast. Microsoft calls the video port just HD video out port, but that does not do it justice. It is a simple micro HDMI port; we tested the connection with a standard cable and a TV and it worked flawlessly. 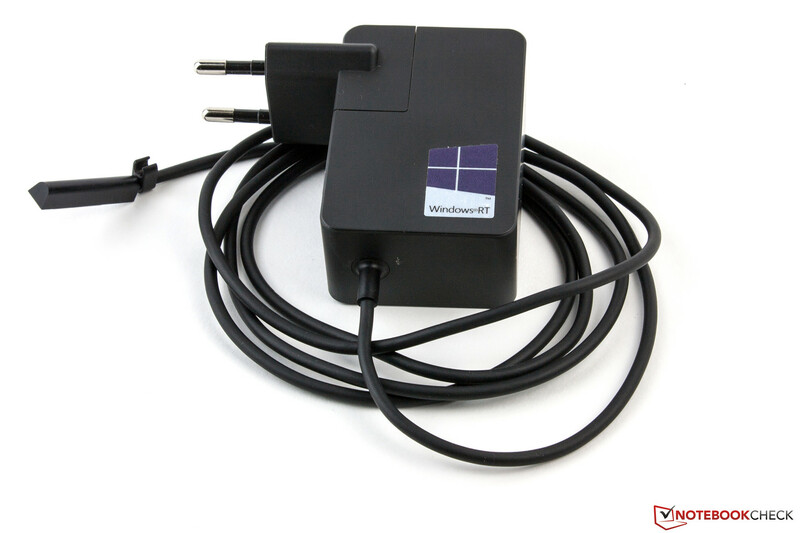 As a result, you do not have to buy the expensive adaptor from Microsoft. 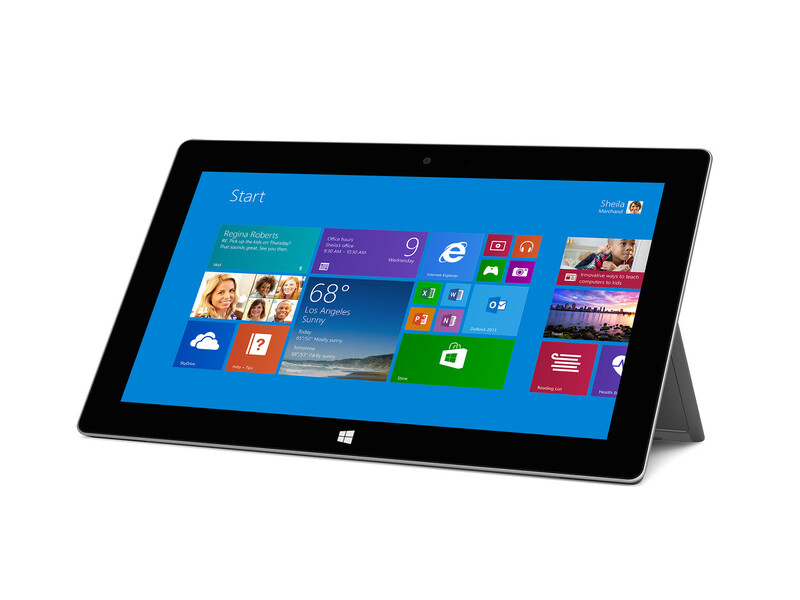 The Surface 2 uses Microsoft's latest operating system Windows 8.1 RT, which has been optimized for ARM processors. This is also the reason that you cannot run standard x86 applications, only Apps from the Windows Store. The number of applications has grown and even surpassed 100,000 Apps (as of July 2013), but it is still rather limited compared to the rivals. 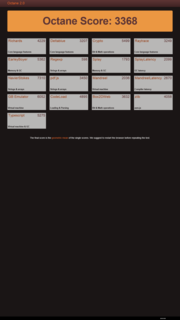 Apple's App Store has more than 350,000 Apps only for the iPad, let alone more than 850,000 iPhone Apps. However, many known developers have already released their applications for Windows RT and the number is growing. There is also one big advantage compared to Apple and Google: You can test (for a limited time or with reduced functionality) all Apps from the Windows Store for free. 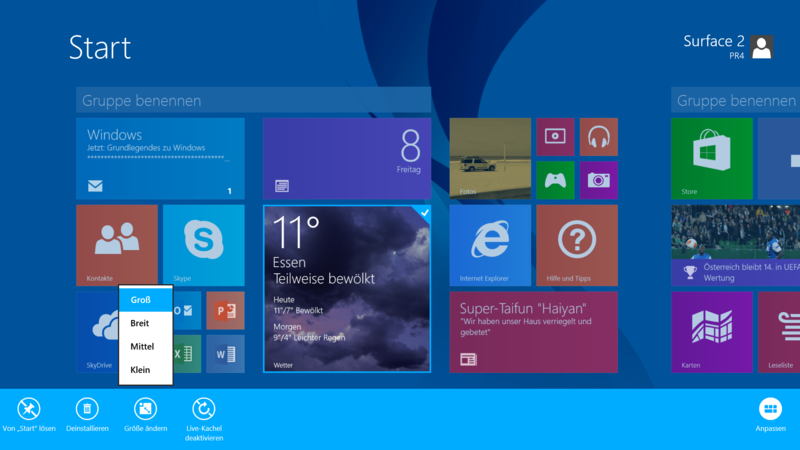 Many useful Apps are already integrated into Windows 8.1 RT. Besides a contacts App there are also applications for the weather, nutrition, news, travel, video and music playback as well as Xbox Games. 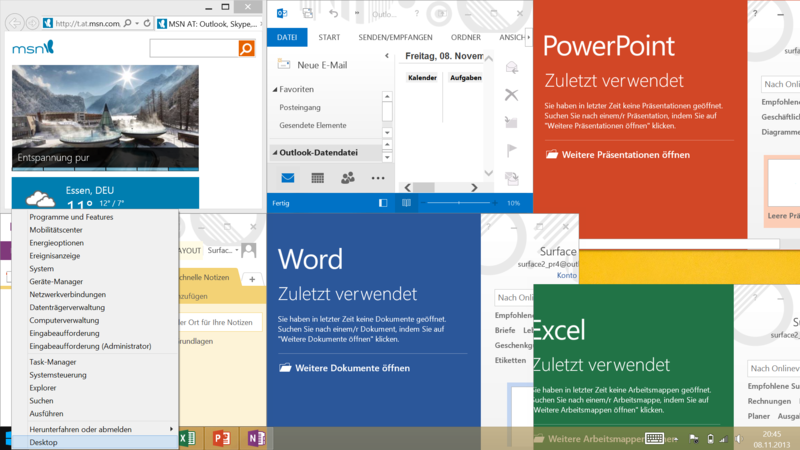 You also get a full copy of the touch optimized MS Office suite, which includes Word, Excel, PowerPoint, One Note and a full Outlook client. The functionality is somewhat limited compared to their x86 counterparts, but the range of functions is still very comprehensive. The most apparent change of the latest Windows RT version is the improved tiles (more sizes) of the Metro-UI. 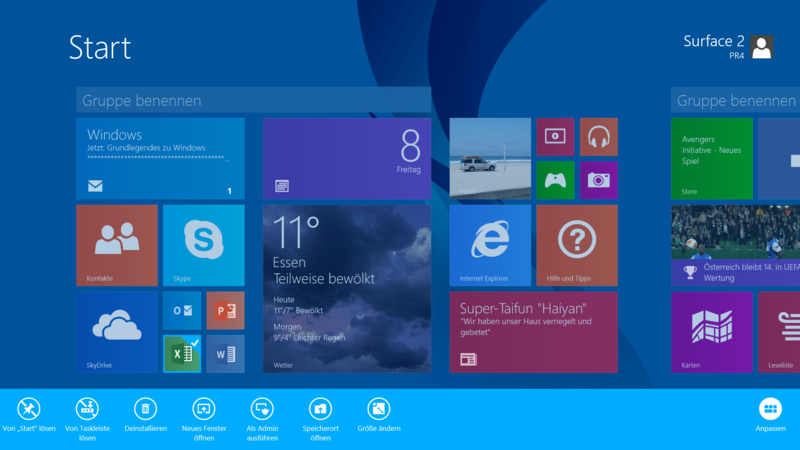 The Live Tiles provide more information in general and can also display them directly with more space. It is also very easy to group applications and we finally get the Start button on the desktop back. However, it is only supposed to improve the navigation between the two interfaces and you can access many system settings with a right click. 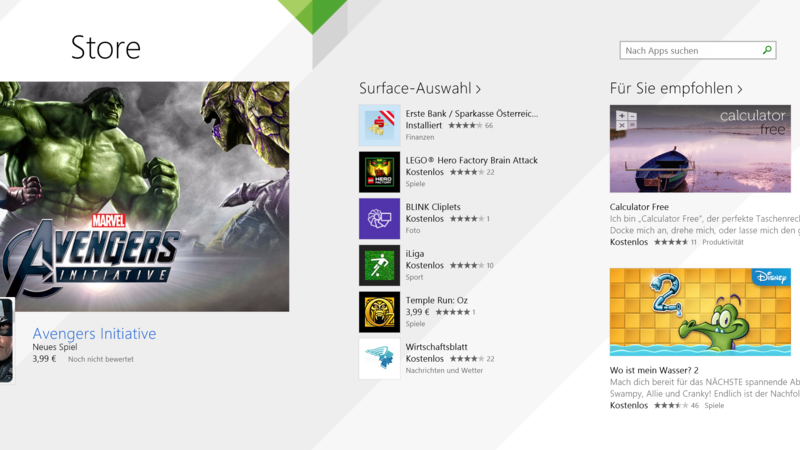 The Windows Store has been redesigned as well and is now better structured. Microsoft did fix many small problems and improved the overall handling of Windows 8.1 RT significantly. 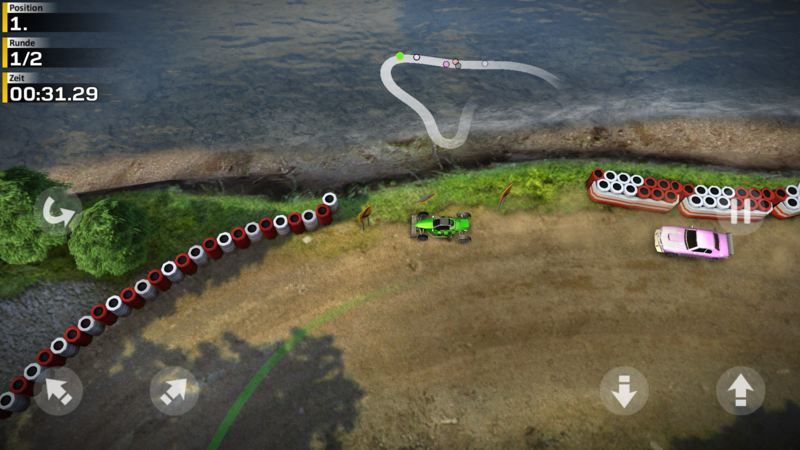 The Touch-UI has been improved as well. Tiles can now take four different sizes. Office 2013 RT is provided. 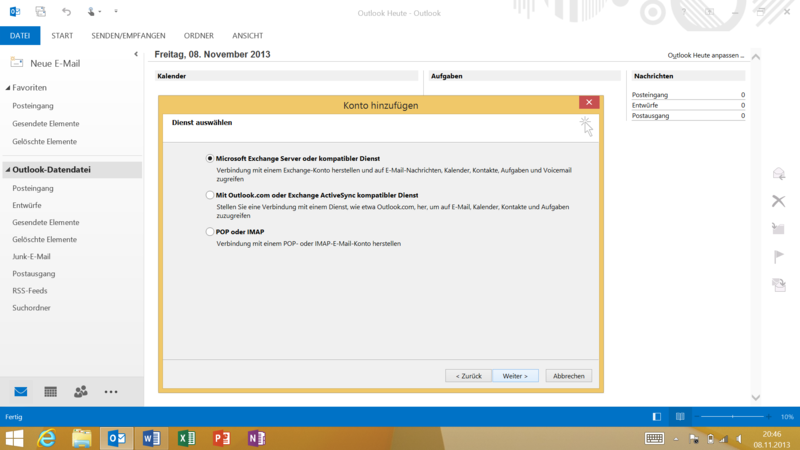 Outlook RT with support for exchange servers and ActiveSync. A right click on the Windows button opens a menu with many useful system settings. The communication features of the Microsoft Surface 2 are pretty standard. Wireless connections can be established with the integrated WLAN module from Marvell (Wireless Avastar 88W8797); it supports the 802.11 standards a/b/g/n in both 2.4 and 5 GHz networks. The latest ac standard is unfortunately not supported, but the signal quality is decent nonetheless: We still had a good signal with a distance of 20 meters (~66 feet) from the router (Fritz!Box 6360) and web browsing was no problem. It is no problem to integrate the Surface 2 into your own home group and access contents from other systems. However, it does not work the other way around since the tablet does not support file sharing over the network. Bluetooth is supported in version 4.0, but you cannot use NFC and there is no GPS module, either. 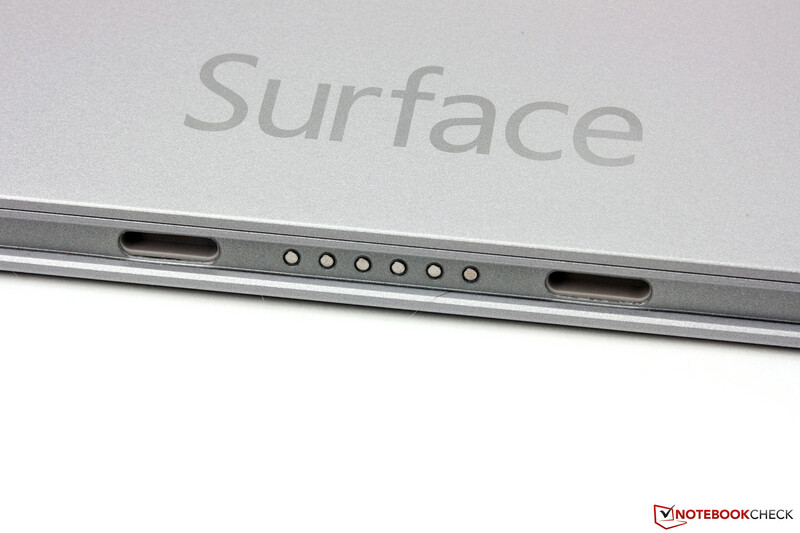 We should see this component next year, when Microsoft offers a Surface 2 version with LTE. Microsoft includes one year of free voice calling to landlines via Skype in over 60 countries worldwide with every Surface 2. A great addition (which usually retails for around 126 Euros excl. taxes, ~$170), which makes sense with a tablet since the VoIP qualities are excellent. There were no issues during our test calls via Skype and the recipient did not notice any problems either. 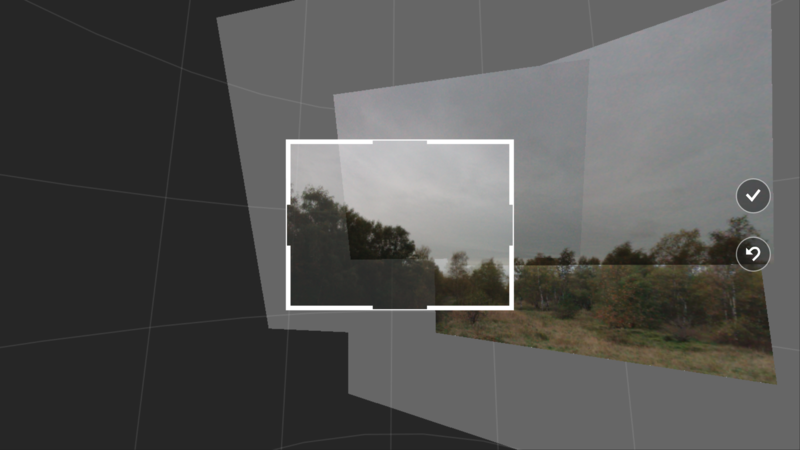 You can take comprehensive panoramas with the camera app. 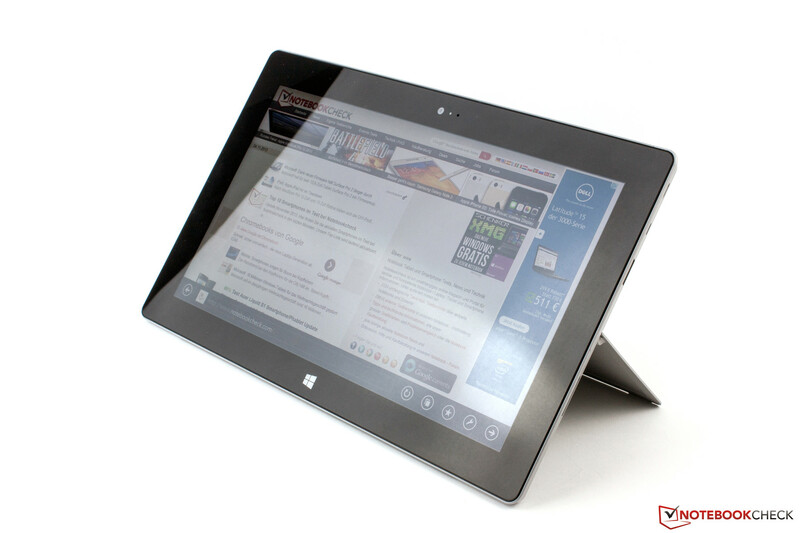 The Surface 2 is equipped with two cameras that have been optimized for video calls, and they do a good job. The front camera has a comparatively high resolution of 3.2 MP (2048x1536 pixels) to reduce the picture noise. That works really well, even in darker environments. 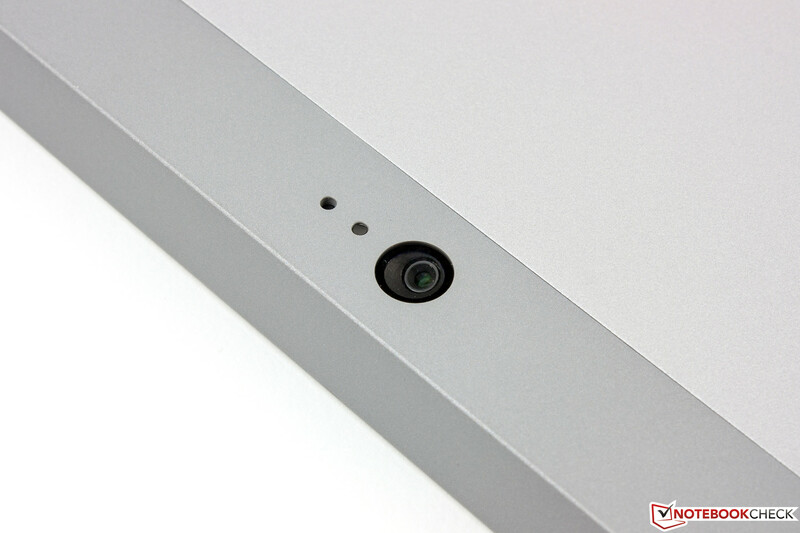 The same applies to the main camera at the back, which is equipped with a 5 MP sensor (2560 x 1920 pixels). You should use the upright position of the Kickstand when you make a call for the best position of the cameras. Pictures are however not the strong suit of both components. The lower resolution front camera has problems with blurry details and very bright objects like the sky easily lose their contours. 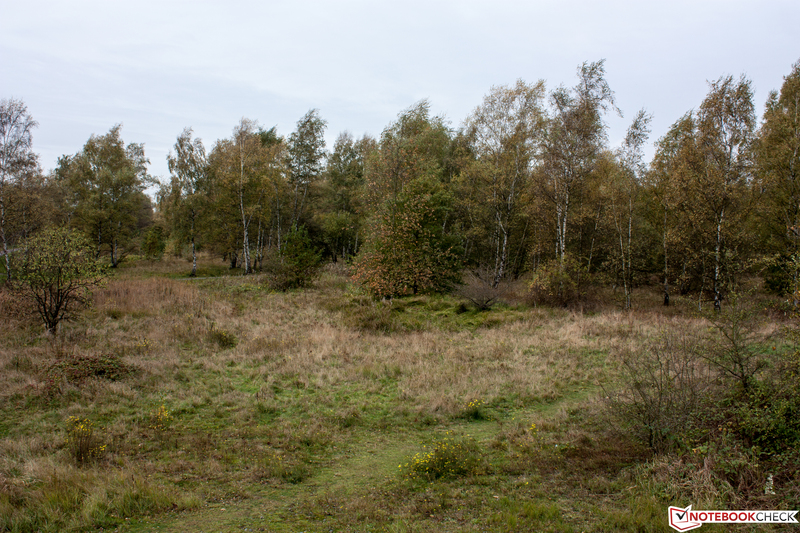 The main sensor is better in this regard and the performance with panoramas is actually quite good. The color reproduction is decent and on the same level with the iSight camera of the iPad Air. Only macro shots are a problem. The sensor could not focus on the figures, but focused on the background instead. We could not change this in the camera App, and multiple pictures did not show a better result. It is possible that Microsoft fixes this problem in an upcoming update. The performance of the camera is otherwise comparable to the rival from Apple. A very nice feature is the integrated panorama mode. Contrary to smartphones, pictures are not only connected from left to right, but you can combine any number of pictures from every direction. The pictures are saved in a PANO file and can be edited afterwards. The provided accessories of the Surface 2 are rather meager. You only get a power supply unit with a rated output of 24 Watts (12 V, 2 A). However, Microsoft also offers a lot more: Especially the Touch and Type Covers ($119.99/$129.99) are great additions for the Surface 2 and you can even use your first generation Cover with the new tablet. You can also get peripherals, protective bags, power supply units and protective display covers. The latter is even available with an optional privacy filter. The necessary adaptors from Microsoft for the HD video out port (VGA or HDMI) are rather expensive at $39.99. You can also get a USB-to-Ethernet adaptor. Microsoft grants a one-year limited hardware warranty, which can be extended for another year for 170 Euros (~$229).This also includes an enhanced support including accident protection. 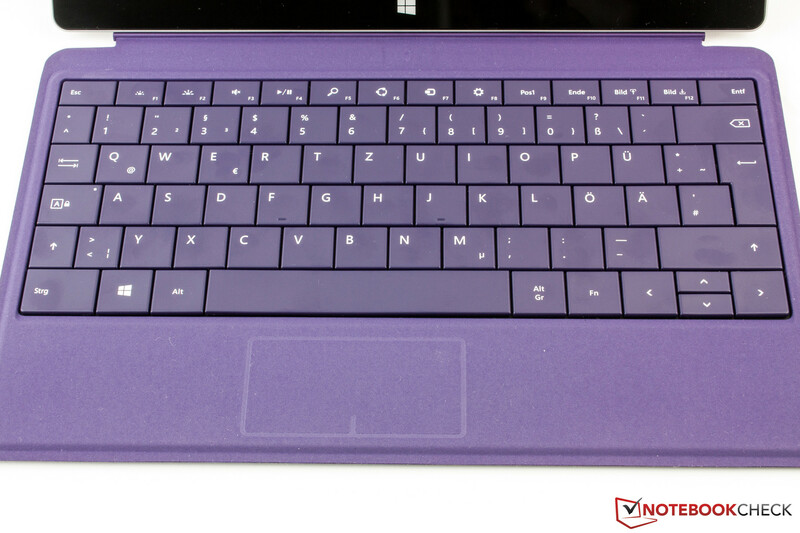 The Surface 2 is very diverse in regard to the input devices. You will most likely use the touchscreen, which recognizes up to five inputs simultaneously. This is completely sufficient for the handling of Windows 8.1 RT that usually only requires two fingers at the same time. Some individual applications also support gestures with more than two inputs. The precision and execution of the inputs are excellent and the gliding capabilities of the glass surface can completely convince us. 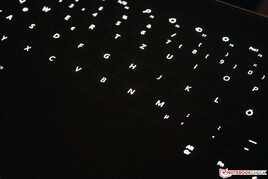 The virtual keyboard did not really change: Inputs are quick and precise and there is also an additional feedback with clicking noises. 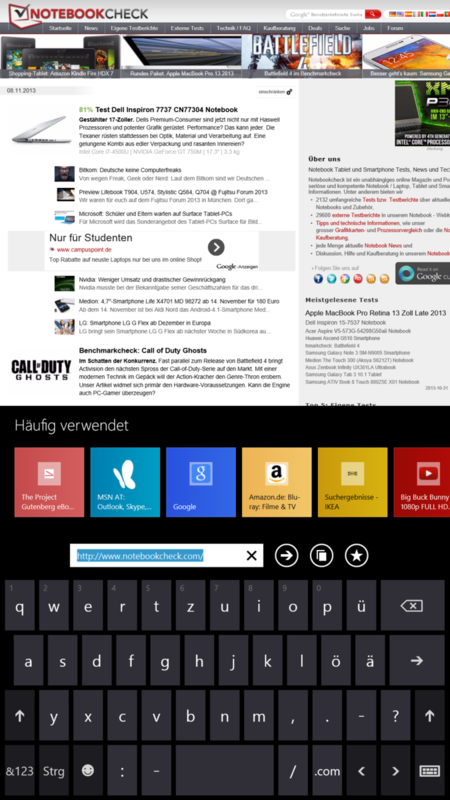 If you prefer to use the tablet with both hands, there is a split keyboard for your thumbs. The keyboard occupies a lot of space in landscape mode but there is still comparatively much room on the desktop for the actual content (around 50%). Typing a web address into the Internet Explorer can however be tricky since you cannot see a whole lot of the content; the address bar and the favorites bar occupy a lot of space. The situation is better in portrait mode, where the keyboard uses less space and is very convenient for smaller texts. 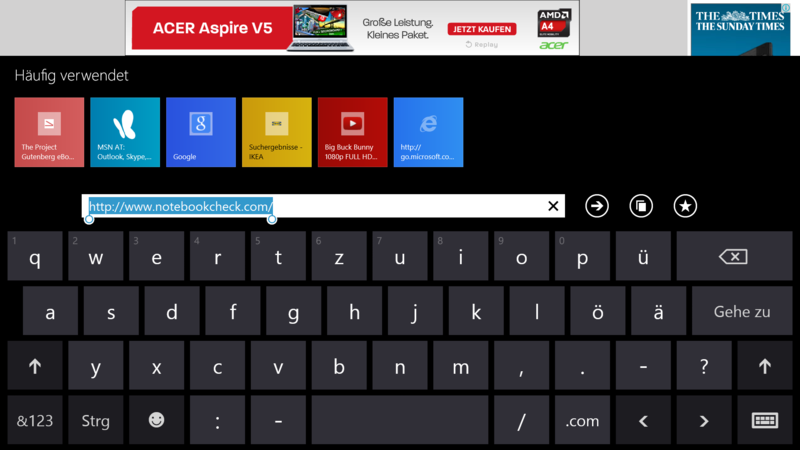 You should however prefer the landscape mode with its larger keys (16 x 16 mm) for long typing sessions. 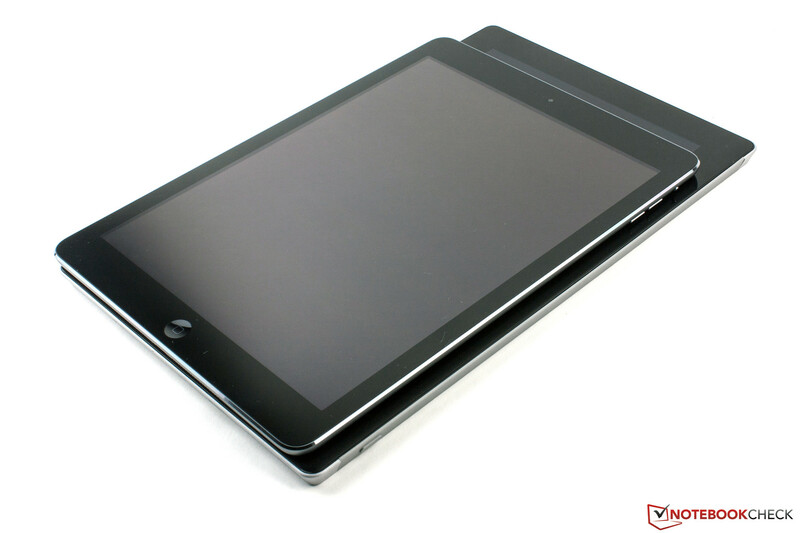 The Touch Cover 2 is an optional accessory and has a weight of 192 grams (~6.8 ounces). 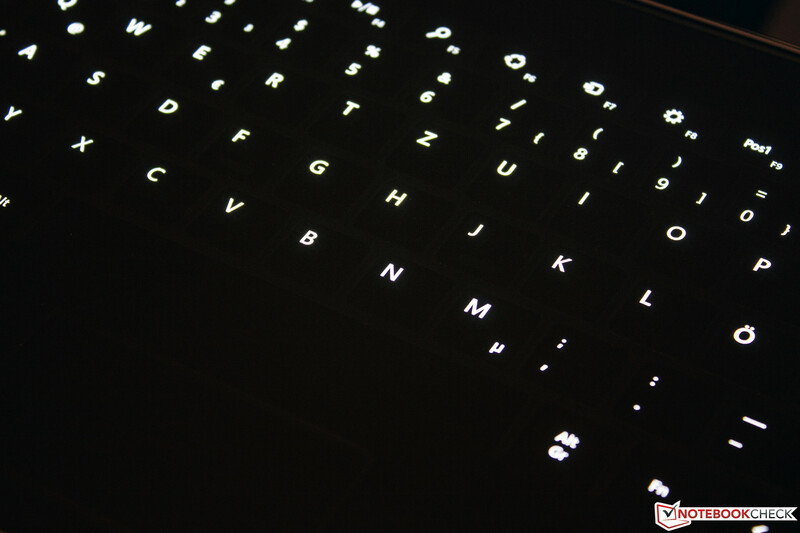 It does not only protect the display of the tablet but also comes with a full keyboard. However, you only get touch-sensitive keys instead of mechanical ones. The QWERTY-keys are conveniently sized at 16 x 16 mm but there is no sort of feedback, neither acoustic nor haptic. This leads to typos in the beginning, but based on our experiences, you will get used to it rather quickly. 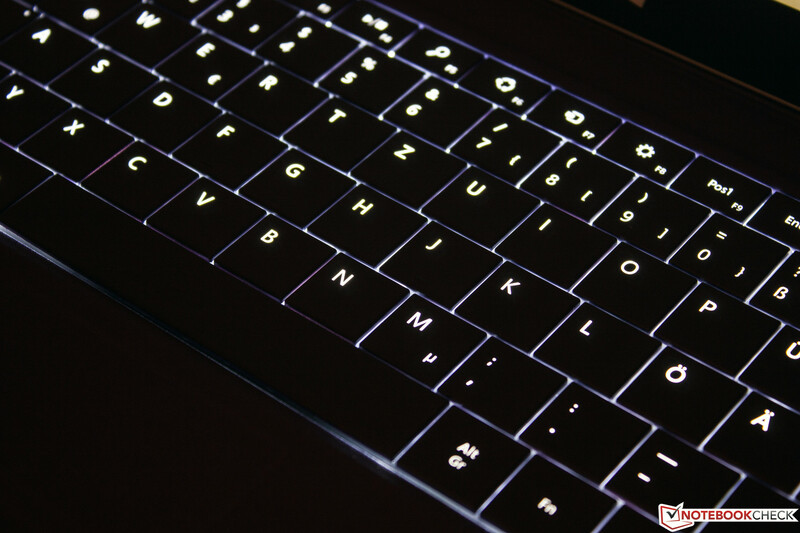 A new feature is the very consistent three-stage background illumination, which is automatically activated as soon as the fingers hover over the keys. 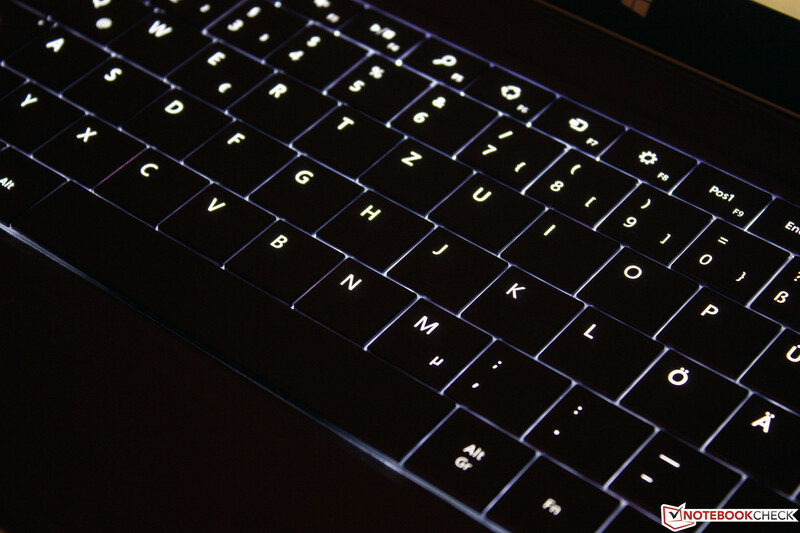 If you do not need a backlit keyboard, you can also get the cheaper first generation Touch Cover for $79.99. The Type Cover 2 is slightly heavier with 264 grams (~9.3 ounces), but you get a full mechanical keyboard in return. 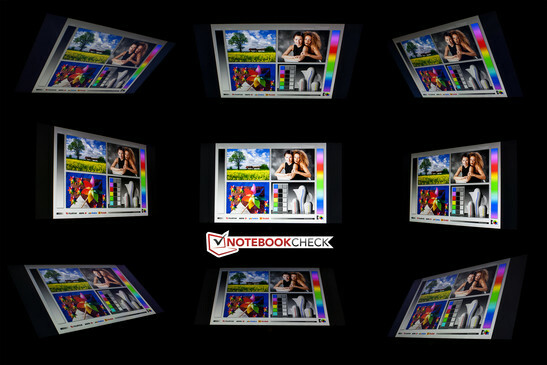 It is available in charcoal (black), cyan, pink or purple and is also equipped with background illumination. The keys are also slightly larger at 17 x 17 mm, but there is almost no space between the slightly concave keys. Travel is limited and results in a good haptic feedback; the noise development is conveniently quiet. All in all a good input device with smart use of the available space. 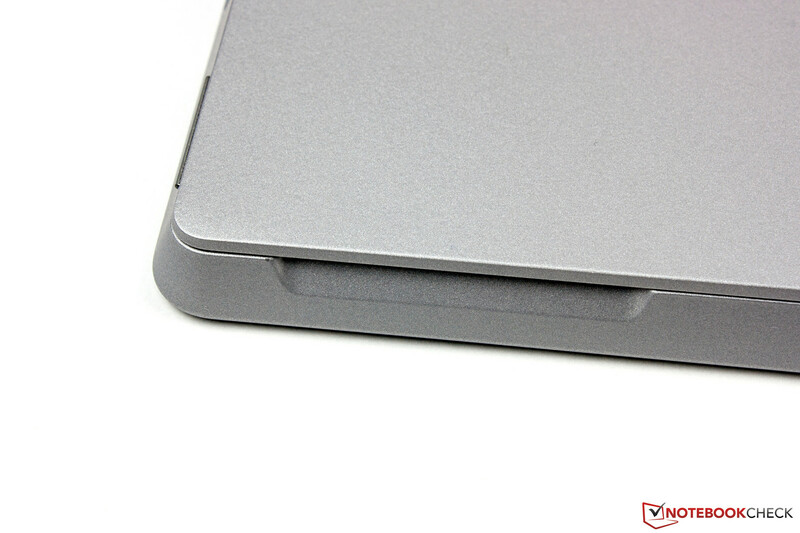 Both Covers use the same integrated touchpads with a size of 70 x 34 mm (~2.8 x 1.3 inches). 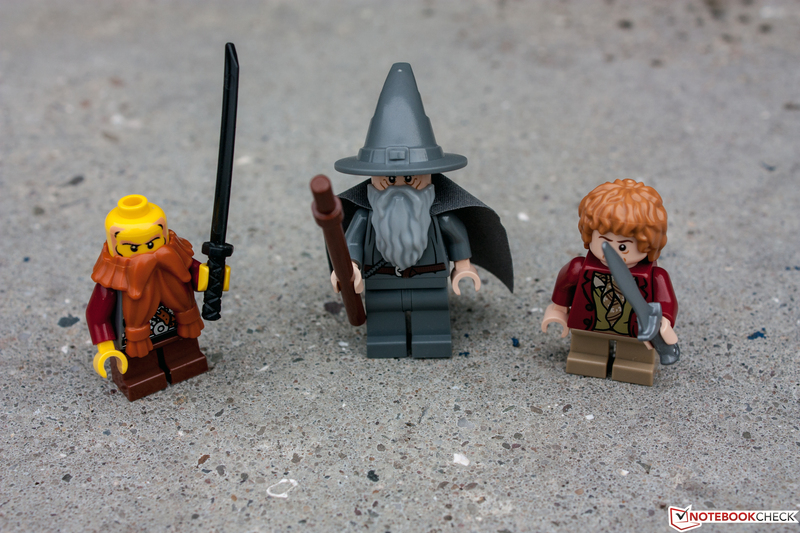 They are bigger than their predecessors but still very small. They are however especially useful on the desktop with their surprisingly high precision. We had no problems with multi-touch gestures, either. 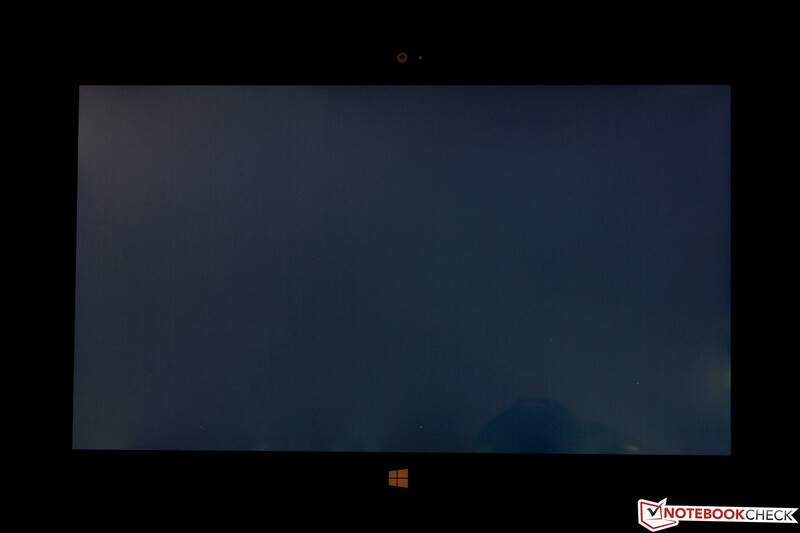 The Microsoft Surface 2 has a 10.6-inch IPS display with a resolution of 1920x1080 pixels (Full HD) and a 16:9 aspect ratio. The pixel density is decent with 208 ppi and the resolution is a good choice for the so-called Clear Type Full HD display, so you will not see any individual pixels even with smaller font sizes. The aspect ratio is great for movie playback since there are no visible black bars and the whole display surface is used. This is also an advantage over the iPad Air, which has a 4:3 aspect ratio. Apple's tablet has a significantly higher pixel density with 264 ppi because it is smaller and has a higher resolution (2048 x 1536 pixels). 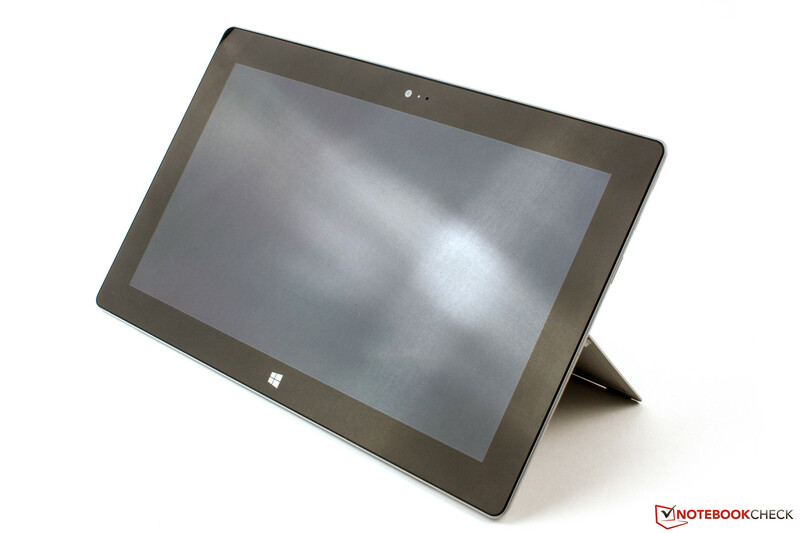 The luminance of the Surface 2 is comparatively high with a maximum brightness of 388 cd/m². It beats the iPad 4 (up to 327 cd/m², 84%), but it cannot keep up with the iPad Air (up to 473 cd/m², 90%). The brightness distribution is also a very good 89%, but our review unit had some issues with screen bleeding. A black value of 0.51 cd/m² is slightly too high and could be better, you will see that black contents are a bit too bright. However, the iPad Air (0.41 cd/m²) is not much better either and the same applies for the Android competition. Sony's Xperia Tablet Z is the best device with 0.39 cd/m² and the Nexus 10 (0.58 cd/m²) is even worse than Microsoft's tablet. The high values are basically a result of the high display brightness. The Surface 2 has a good contrast ratio of 700:1. 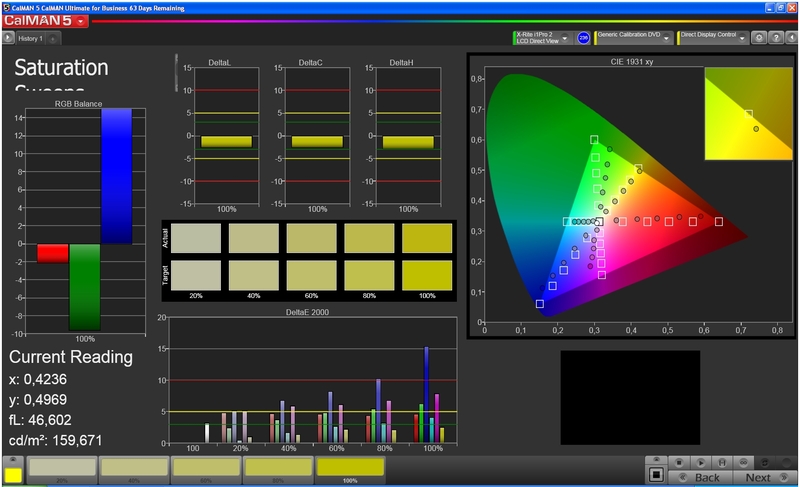 Microsoft does not specify the available color space but the calibration ex-works is quite good. 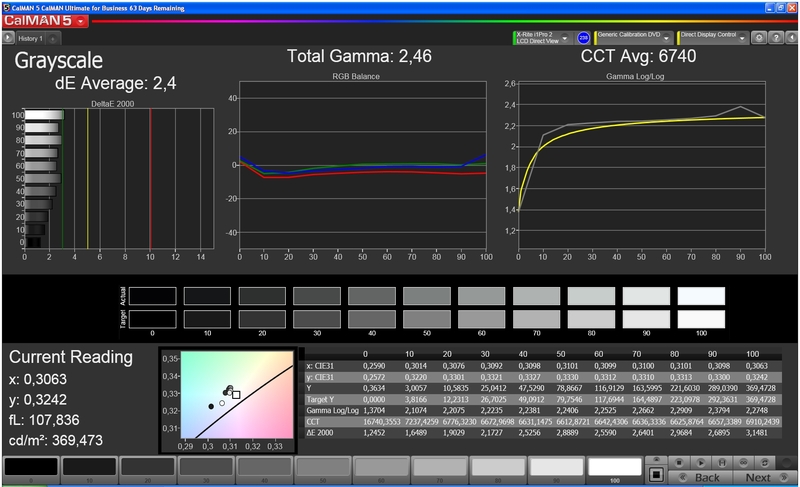 The color temperature is just slightly raised with 6740 K and results in a cool picture with very bright backgrounds. The RGB balance lives up to the name and is very consistent; the grayscale presentation is very accurate with an average DeltaE value of 2. 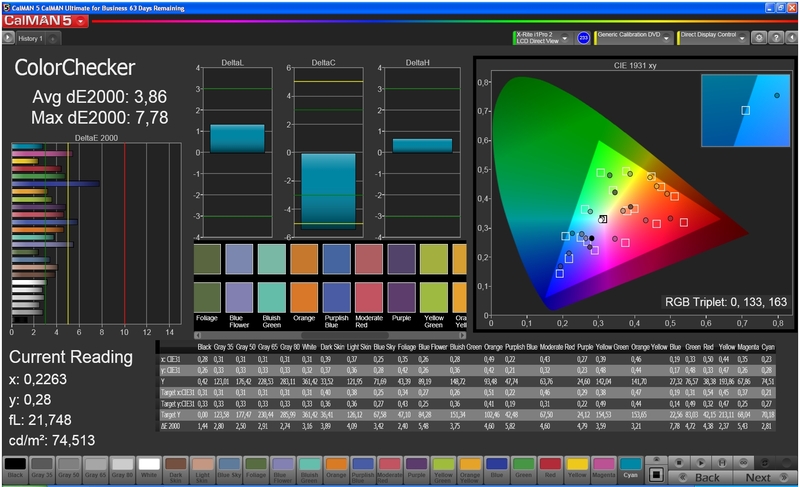 That also applies for the color accuracy, only blue (dE 15) and magenta (dE 7) show high deviations. 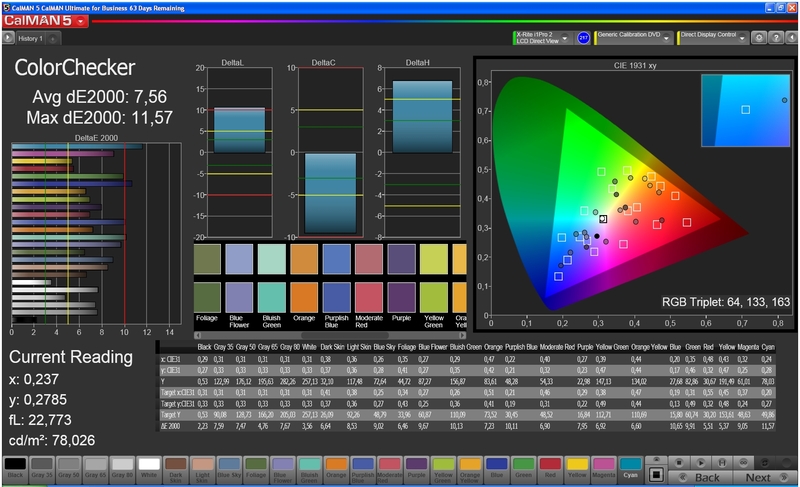 The average ColorChecker deviation of 4 with the target color space sRGB is reasonable, but the situation changes when we use Adobe RGB instead. The deviations are much higher now with an average DeltaE value of 8 and therefore not perfect for professional picture editing. 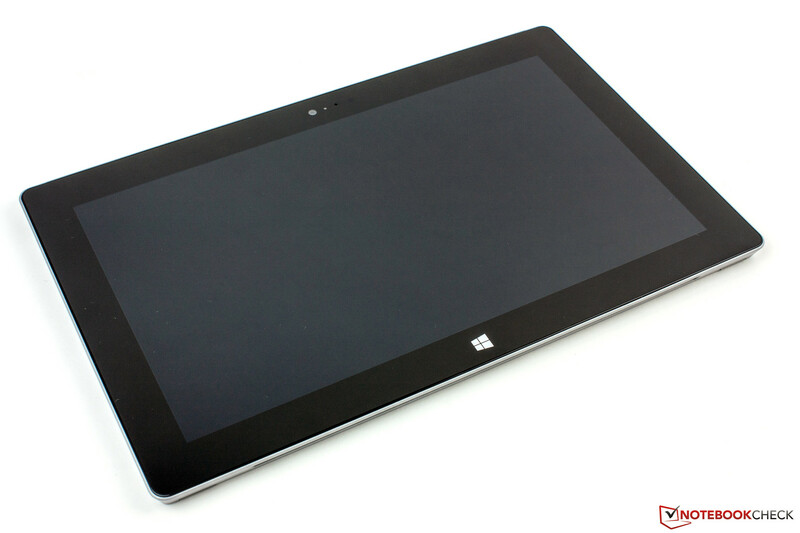 However, most users will like the bright and high-contrast picture of the Surface 2. 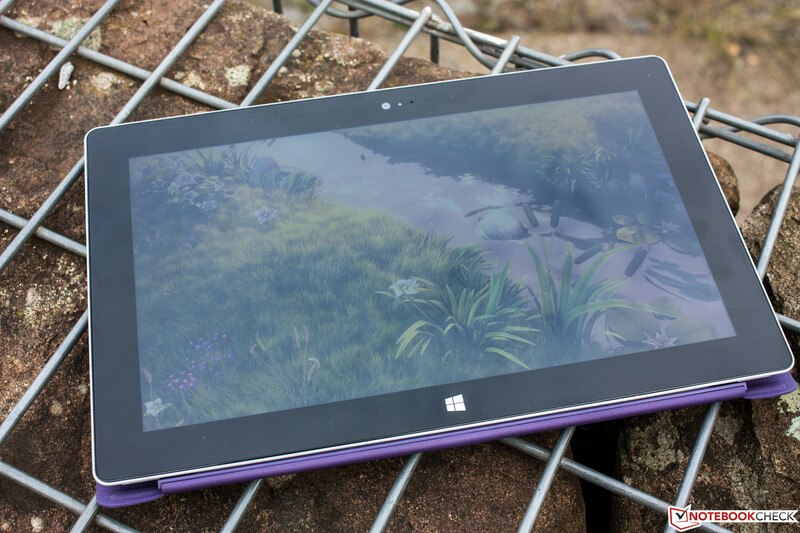 Despite its glossy display surface, you can actually use the Surface 2 outdoors. The high luminance and the rich contrast can compensate the reflections. 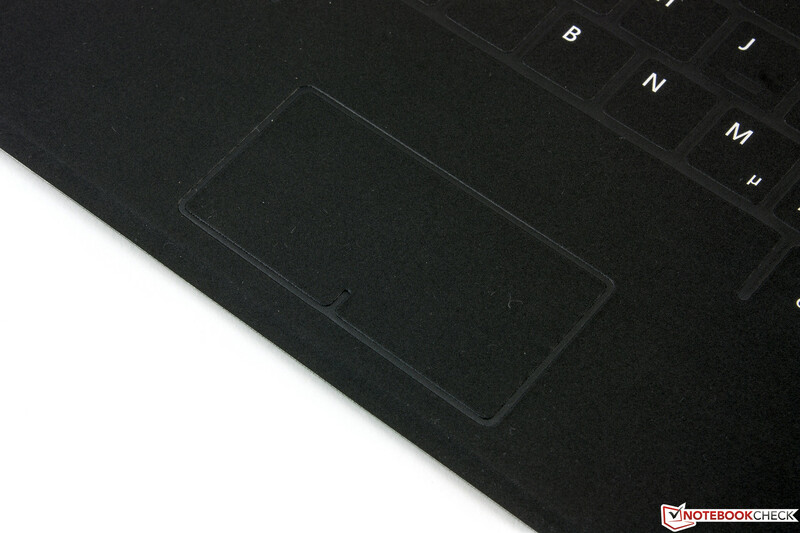 However, you should not use the Surface 2 under direct sunlight; the reflections would be too strong. As expected, the viewing angle stability of the IPS display is excellent. Even extreme viewing angles only result in a slight brightness reduction, but the picture is always visible and we could not determine any color deviations. Extreme viewing angles do however have another problem, since the reflections of the glossy surface can be really annoying in bright environments. 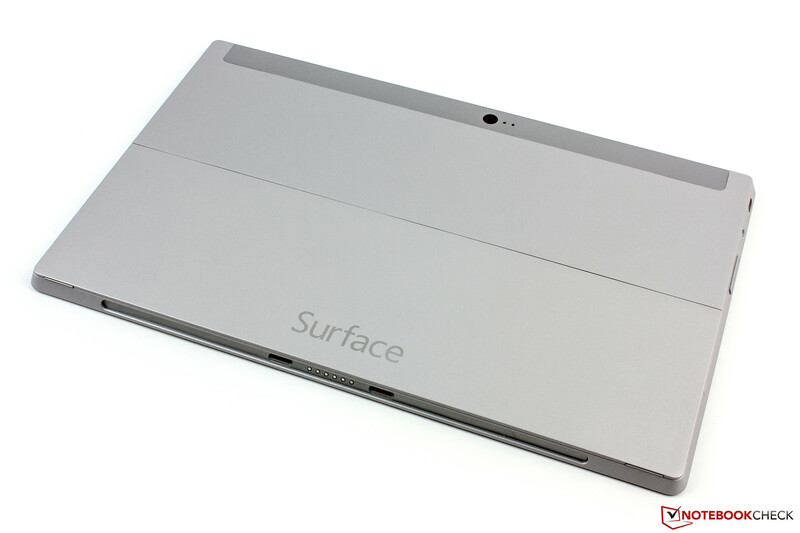 Just like the predecessor, Microsoft equips the Surface 2 with an SoC from Nvidia. This time it is based on the Tegra 4, which uses four Cortex-A15 cores plus another companion core that clocks at 700-800 MHz and is supposed to improve the efficiency. The other four cores can run at 1.9 GHz, at least in theory. Microsoft's engineers did however reduce the clock to 1,710 MHz. The graphics performance of the chip is reasonable; the integrated GPU has 72 shaders. All this is supported by 2 GB memory. 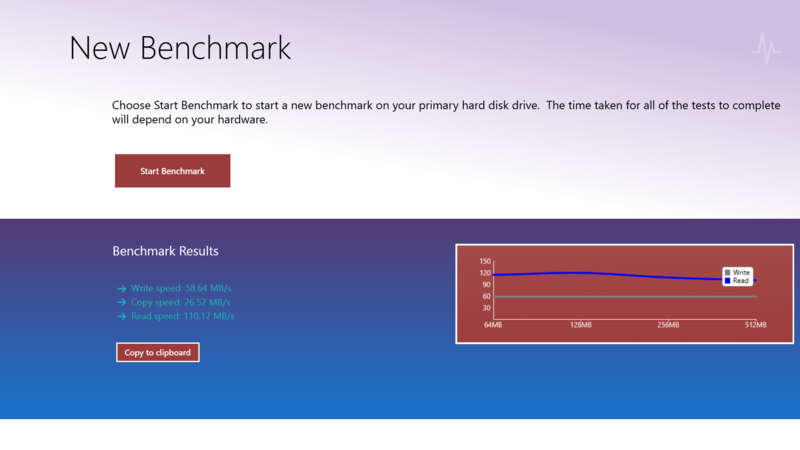 There are finally some benchmarks available on the Windows Store that improve the cross-platform comparisons. 3DMark shows that the latest RT generation made a significant performance leap. The Unlimited Score of the Dell XPS 10 (5,091 points) is 64% behind the Surface 2 (14,281 points). But the Surface 2 does not have to hide behind the competitors, either. Toshiba's eXcite Pro (Tegra 4 1.8 GHz) is only slightly better in the Physics test because of the higher clock. Our review unit can however not keep up with the GPU performance of the iPad Air. The raw CPU performance of the Microsoft device on the other hand is superior to the iPad, which can be seen in the Physics results. Considering that the tablet from Cupertino is only equipped with a dual-core CPU, this result is not surprising. The single-core performance of the iPad has to be higher than the Surface 2 as a result; otherwise the difference would have been bigger. The performance of the new Internet Explorer 11 is actually quite good. It is still not the fastest browser, but the results are good nonetheless. Especially Sunspider 1.0 shows that the Surface 2 can surpass all ARM-based devices and sets a new record. 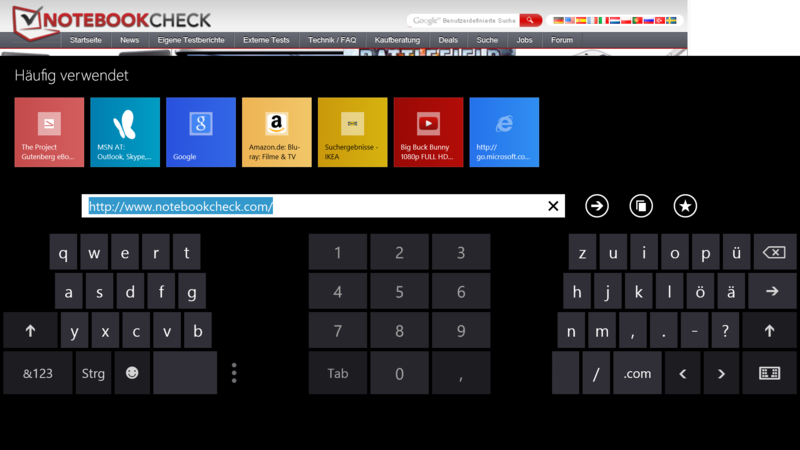 Browsermark 2.0 shows a similar picture, only the iPad Air can beat our review unit. The results of the other benchmarks are decent, but the iPad is usually significantly faster. The subjective browsing performance can still convince us and IE11 already has an integrated Flash-Player, so most websites are usually displayed correctly. Our review unit has 32 GB storage, but the user can only use around 18 GB after the initial setup. You can also get a version with 64 GB flash memory, but it is rather expensive at $100 more. 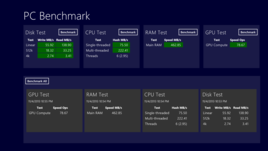 The performance of the storage is good in all benchmarks. PC Benchmark determined a 4K read performance of 3.41 MB/s and the sequential read performance was between 110 and 139 MB/s depending on the App. If you want to play games, you will have to rely on the Windows Store, which is equipped with many Xbox games. You can also test most of the games for free before you buy them. Because of the good GPU performance of the Tegra 4 SoC, you can play all games that are currently available for Windows 8.1 RT without any problems. 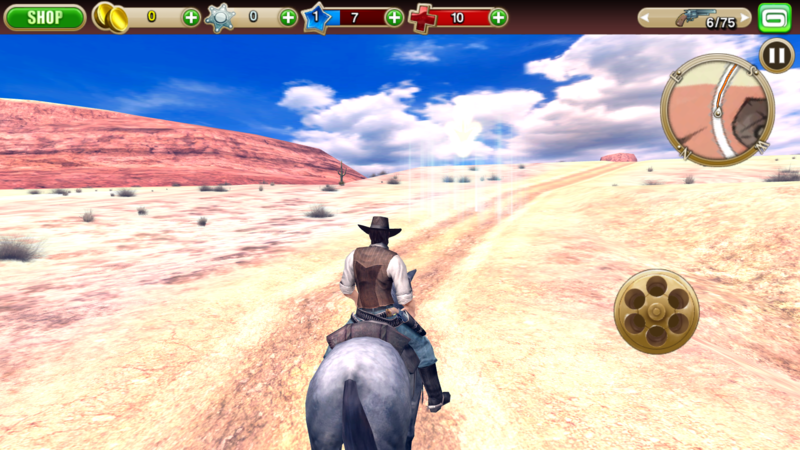 That includes classics like Angry Birds or Solitaire up to current 3D games like Six Guns. The GPU already supports OpenGL ES 3.0, so upcoming games should not be a problem, either. The good touchscreen and the well-working sensors complement the gaming experience with the Surface 2. The temperature development of the Surface 2 is excellent: We can only measure up to 28.3 °C (82.94 °F) during idle, even with the maximum display brightness. The Nexus 10 is close with up to 28.9 °C (84.02 °F), but both the iPad Air (up to 31.4 °C/88.52 °F) as well as the Toshiba eXcite (up to 35.8 °C/96.44 °F) surpass 30 °C (86 °F). We determine surface temperatures of up to 35.3 °C (95.54 °F) for the Surface under load, but this is still below the idle results of the Toshiba eXcite. The latter gets quite warm at the back with up to 41.5 °C (106.7 °F) (maximum brightness) and the Nexus 10 is on a similar level (41.3 °C/106.34 °F). However, the hottest tablet is the iPad Air with 42.1 °C (107.78 °F). 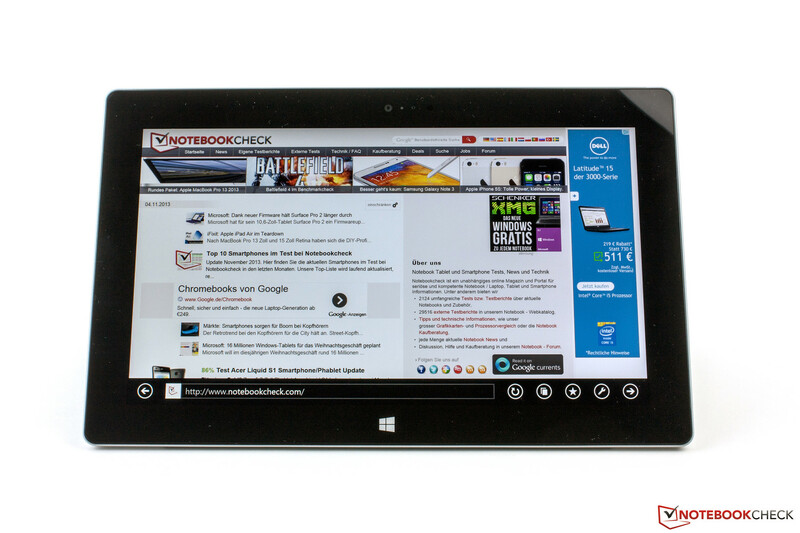 Overall, a great result for Microsoft's tablet. (+) The maximum temperature on the upper side is 34.6 °C / 94 F, compared to the average of 34.8 °C / 95 F, ranging from 22.2 to 51.8 °C for the class Tablet. Our review unit is equipped with two stereo speakers, but there are no specifications. They are well positioned; the risk of covering them with your hands is very low. We can clearly hear the stereo effect of the speakers and the sound is always clear and without distortions, but it tends to emphasize high tones. There is a certain amount of bass, but it is very weak and the medium tones are not very powerful, either. Voices are a bit too quiet during music playback. This could have been changed by an equalizer, but the settings are unfortunately very limited. This effect is however no problem during movie playback. Quite the contrary actually, the balance works really well in this case. 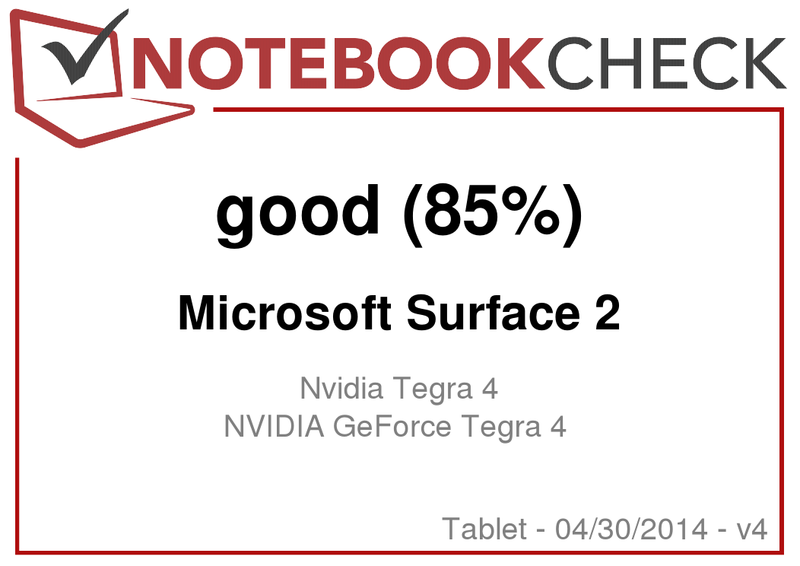 All in all a good performance of the Surface 2, especially for movie playback. The Surface 2 does not consume much energy during idle with 1.8 - 4.1 Watts. Here we can see the benefit of the Tegra 4's frugal companion core. We can measure up to 15.8 Watts under load if we run the Relative Benchmark with maximum display brightness; the less powerful Nexus 10 (up to 9.4 Watts) is significantly more frugal. Our review unit consumes 7.2 Watts during video playback (1080p), both the Nexus (9.2 Watts) and the Toshiba eXcite (9.3 Watts) need more energy, despite the identical SoC. The power supply unit is more than sufficient with 24 Watts, even under maximum load. Microsoft does not reveal any details about the battery capacity of the Surface 2, but it should be around 40 Wh according to our runtime results. The tablet has very good runtimes and shows an improvement over its predecessor. 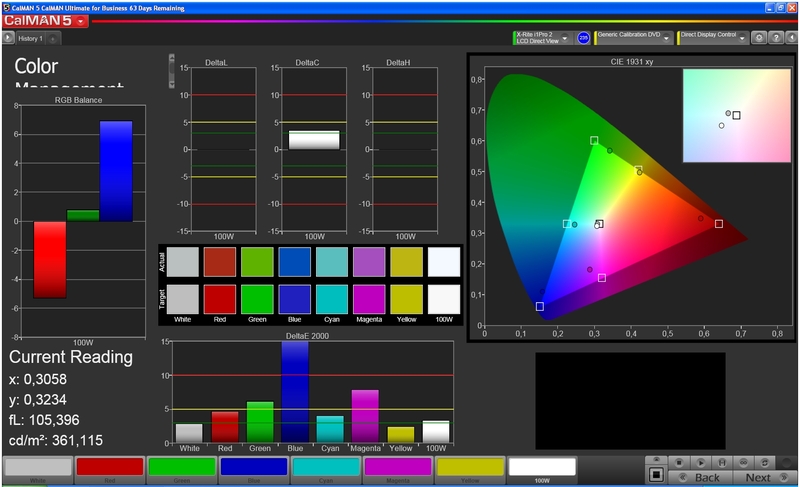 We determine the minimum runtime with maximum display brightness and activated wireless modules. The Relative Benchmark ran for over three hours before the battery had to be recharged. The other extreme is simulated with minimum brightness and all wireless connections, except for WLAN, are deactivated. 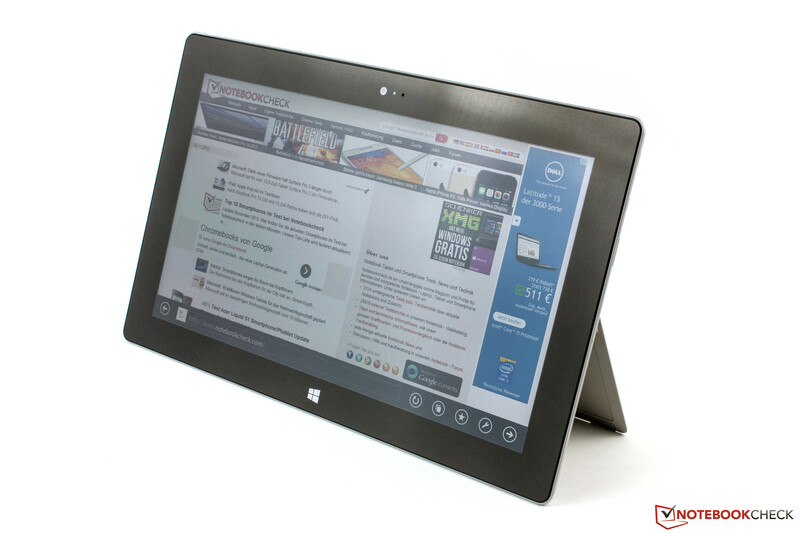 We use a script to simulate the reading of a document; the Surface 2 managed more than 18 hours in this scenario. Our WLAN Test is more realistic and simulates web browsing with an adjusted display brightness of 150 cd/m². We use a script that refreshes a website every 40 seconds. The result is good with eight hours. The maximum runtime for video playback is determined with a loop of our Big Buck Bunny video (brightness at 150 cd/m²) while the wireless modules are deactivated. We can watch the video for twelve hours and twelve minutes on the Surface 2, an excellent result. The runtimes of the tablet are really good and can convince us. 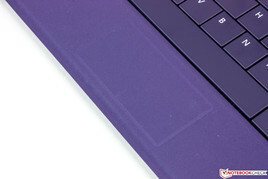 Microsoft wants to offer a Power Cover for the Surface in 2014, which includes an additional battery besides the keyboard. Microsoft offers a premium tablet with the Surface 2. The engineers from Redmond improved their product and optimized many weaknesses, while maintaining the positive aspects. The Surface 2 is finally equipped with a Full HD panel, but there is still a problem with the display. The black value could be better, and the screen bleeding does not really meet the premium claim. 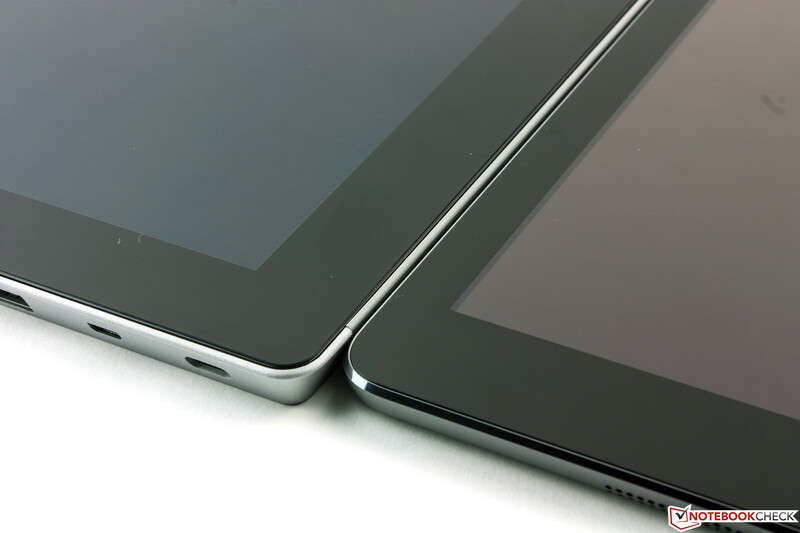 One advantage of the tablet is the convenient temperature development. The user also gets a full copy of the Office suite, which finally includes an Outlook client and the Skype flat rate for landlines as well as the 200 GB SkyDrive storage (limited to two years) are nice additions. 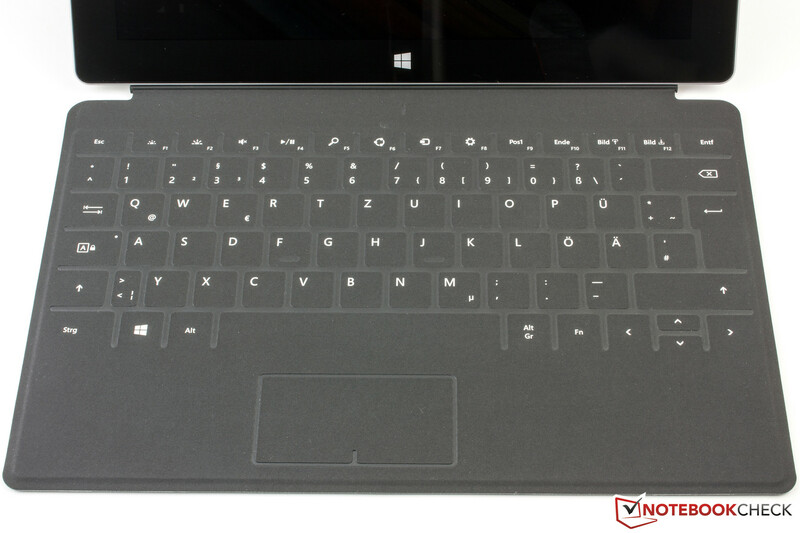 But the Surface 2 can also convince us with its excellent build quality and the comparatively high weight is not really a problem in practice. The optional Covers are useful accessories; we especially liked the Type Cover 2. 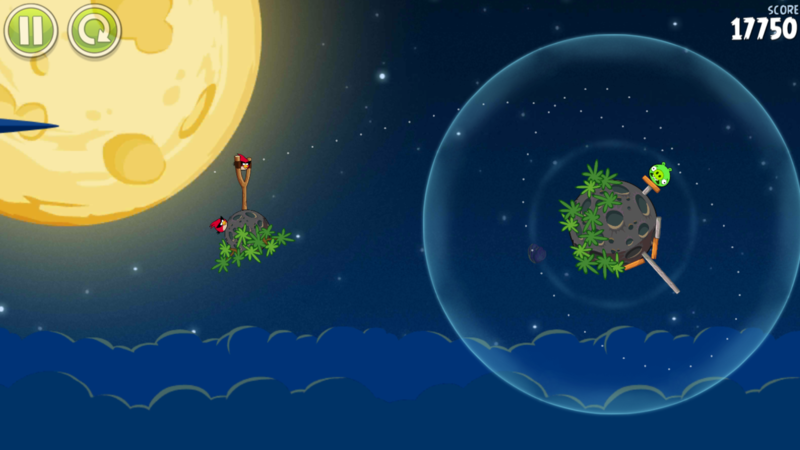 Both versions are now equipped with background illumination. 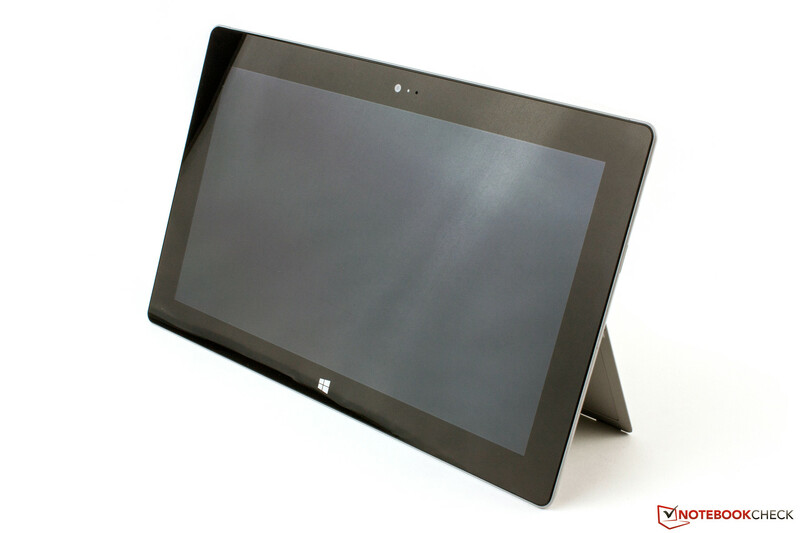 The Surface 2 is really a versatile product with excellent communication and multimedia features. The App selection is unfortunately still limited, but the Windows Store is continually growing. Overall, it is not quite enough to beat Apple's iPad, but the competition is finally on the same level. In Review: Microsoft Surface 2. 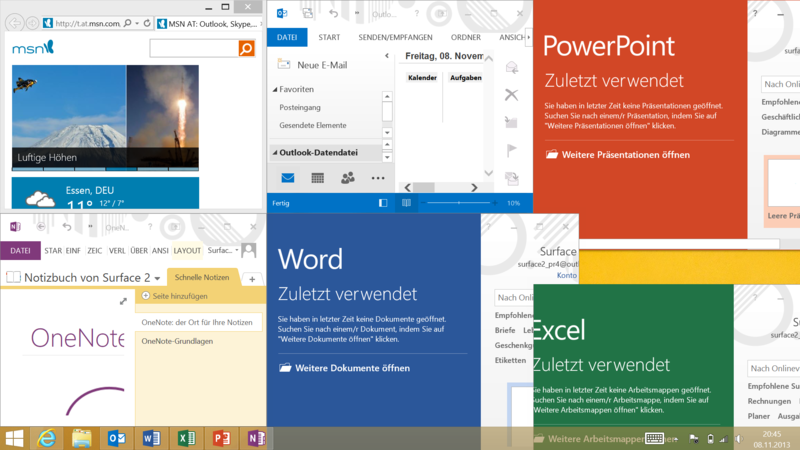 Courtesy of: Microsoft Austria. The capacitive touchscreen of 10.6 inches. It features the Full HD resolution (1920x1080). The Kickstand can now take two positions. The additional angle is great if you want to use the device on your lap. The status LEDs of the power cord look very nice. Almost the whole casing is made of VaporMg. A small indentation helps to adjust the Kickstand. Our review unit has 32 GB storage. Very stable hinges of the Kickstand. 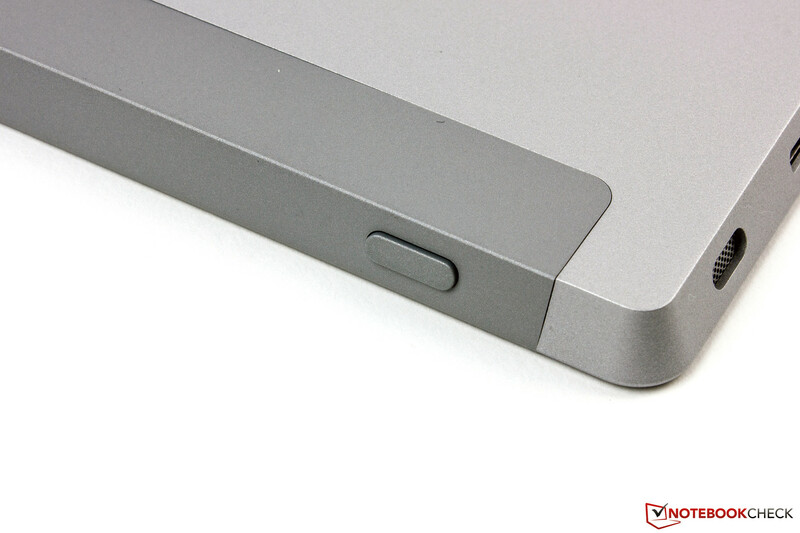 The micro SD slot is hidden underneath the Kickstand. The power cord uses magnets. The power button is easy to reach. You can use a common micro HDMI cable for the HD port. The cover connection uses magnets as well. ...the Type Cover 2 are now equipped with a background illumination. The power supply unit with a nominal power of 24 Watts. The build quality of the Surface 2 is excellent. We also like the great multimedia features and the comprehensive software suite. The Surface 2 is still comparatively heavy. Less weight would certainly be nice. Microsoft does not use the name micro HDMI, but we are not sure why. It does however work great. Amongst others: Apple iPad 4 and iPad Air, Google Nexus 10, Toshiba eXcite Pro and Sony Xperia Tablet Z.